Here in Metro Detroit, young people aren’t dancing around in vineyards, but there are matches being made. And instead of looking for love one day a year, young Jewish adults are finding each other all year long in all different ways, in large part with help from local organizations that are bringing them together. Two such organizations, NEXTGen Detroit and Partners Detroit’s Young Professionals Division, have a history of joining forces to provide the next generation of Jewish Detroiters with meaningful community engagement. And, if love happens along the way, no one is complaining. Nearly 10 ago, Federation’s Young Adult Division (YAD), which has since evolved into NEXTGen Detroit, came on the scene with the mission of creating a vibrant Jewish future in Metro Detroit. During the same time, Partners Detroit also began growing their young adult engagement efforts. The two organizations came together to create the highly successful Torah on Tap program. Since then, many programs and events put on in partnership between NEXTGen Detroit and Partners Detroit have brought together hundreds of young adults from a variety of backgrounds. While these programs focus on helping young adults find meaning and connections with their Jewish identities and the greater community, a wonderful thing has been happening. People are falling in love! 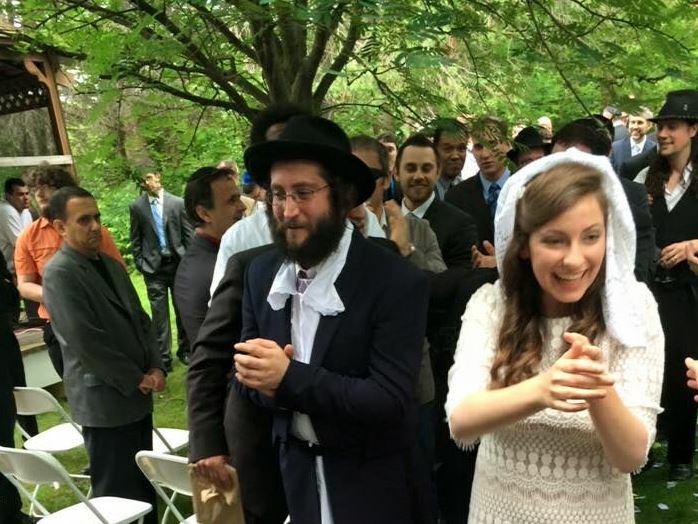 And, as they build their relationships and start new chapters of their lives together, their Judaism is a foundational element. 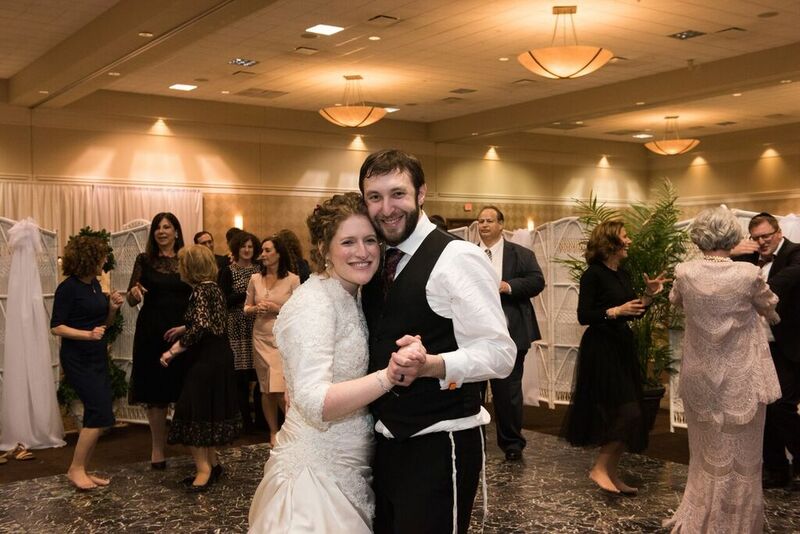 Before they met, and once dating, Elizabeth and Josh attended NEXTGen Detroit events including Good Shabbos Detroit dinners and Torah on Tap. They also were involved with Partners Detroit Young Professional Division and their Tuesday night chavrusa learning program. They started dating in August of 2014 and were married the following year. 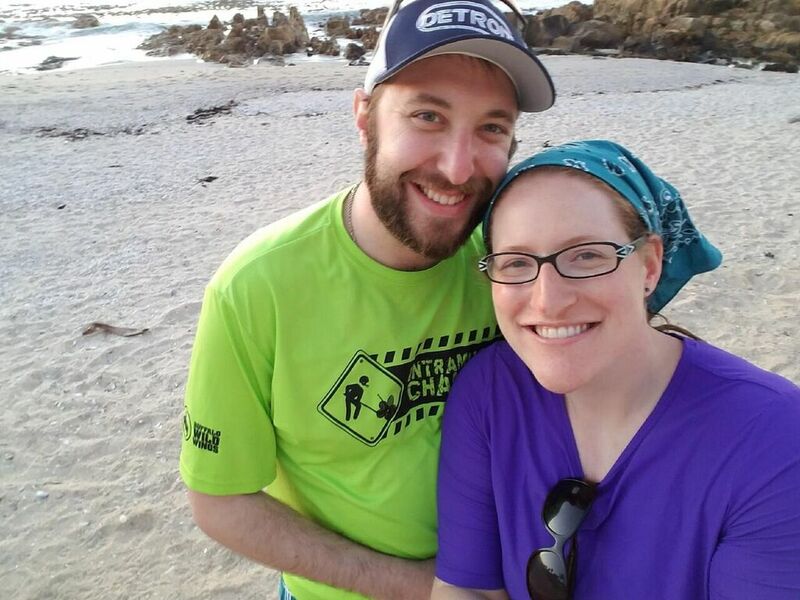 Prior to their year in Israel, the couple lived in Oak Park, where they plan to return to continue to attend Jewish social and educational programs, host meals for friends and be active at their synagogue. Elizabeth will be going into social research to better the community and Josh will continue his work as a Doctoral Candidate of Jewish Studies. Natalie is a local who has been involved with the Jewish community for as long as she can remember. Growing up, she was active in NFTY-MI and attended and worked at the URJ’s Kutz Campus for Reform Jewish Teen Life in Warwick, New York. In college, Natalie spent Shabbat and holidays at the Michigan State University Hillel. Avi, originally from Arizona, made his way to Metro Detroit for work. He was involved with Far West USY, went to summer camp at Camp Nesher in the Poconos and, while in college, spent Shabbat and holidays between his family and the University of Arizona Chabad. Natalie and Avi met through Partners Detroit’s Rabbi Noam and Tsippi Gross in April of 2016. “Since we started dating, we have spent almost every Shabbat together. Sometimes we eat with friends, sometimes we eat alone, but either way, Shabbat has become a time of togetherness. We also spend holidays with family – sometimes it’s here in Detroit and other times it’s traveling around the country – but we do it together.” They got engaged in March of this year and are busy planning a wedding for May 2018. 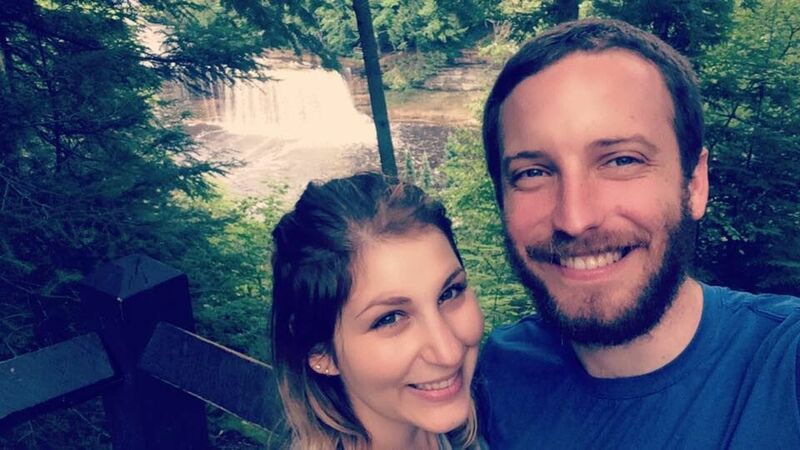 Together, Natalie and Avi enjoy attending NEXTGen Detroit events, most recently, the post-Passover Mimouna in the D and have been to Latke Vodka, Good Shabbos Detroit and Torah on Tap, to name a few. They also are active in the Young Professionals Division of Partners Detroit and attend events and classes together. Natalie and Avi really love being involved in the Jewish community. In fact, Natalie has made a career out of it and works at JVS as a career counselor where she is also the JOIN program coordinator (JOIN is a summer internship program for college students). Additionally, they attend other community events throughout the year, for example, the millennial’s lunch at Young Israel of Oak Park and The Great Challah Bake put on by AISH. Rina and Josh Sabes are two Metro Detroit natives who made their way back home and are starting the next stage of their lives here. Rina was born and raised in Oak Park and moved to New York in 2013 to pursue her MSW at Yeshiva University/Wurzweiler School of Social Work. Josh, who is originally from Southfield, grew up in Louisville, Kentucky, and moved back to Metro Detroit in 2011 for graduate school. Once back in Detroit, Josh became involved with Partners Detroit and began a journey of becoming more observant and involved in the Jewish community. “It’s ironic that I moved to New York (mostly for school, but a small part was for dating opportunities) and it turns out my husband was busy growing and learning in Detroit the whole time,” said Rina. The couple was connected on Saw You at Sinai, an online Jewish dating site for religious singles. Both were ambivalent about the idea, but happened to reach out to the same person for her thoughts on the match. She only had good things to say about each of them, so they went for it. Their first date was on the first day of Sukkot in 2015 and by Chanukah of that year they were engaged. “We ultimately met because of Josh’s interest in Judaism and growing and learning more. Partners Detroit was the catalyst for Josh’s journey to becoming observant, and they became Josh’s second family,” said Rina. When Rina moved back to Michigan to marry Josh, the Partners family was incredibly warm and welcoming and was an automatic built-in group of friends for her. Josh and Rina learn regularly on Tuesday nights with Partners Detroit. Both are on the planning committee for millennial/young adult programming with Young Israel of Oak Park. Rina recently opened a gown gemach, which is a low cost service that enables women and girls to borrow dresses for weddings and other occasions. Josh is a physical therapist at DMC Harper Hospital, but his passion is pediatrics. Rina is a geriatric social worker at Jewish Family Service of Metro Detroit.